A Day Full of Lovely Animals! For animal lovers who come to Branson to spend a wonderful vacation at any time of year can always have the opportunity to see a variety of land creatures in some popular Branson attractions such as Butterfly Palace, National Tiger Sanctuary, Promised Land Zoo, and Dinosaur Museum that offers a great display of imaginary monstrous critters. To start exploring some of Branson attractions that offer animal lovers a chance to see beautiful and colorful creatures, visit the Butterfly Palace and Rainforest Adventure where you will be fascinated to see thousands of species of colorful butterflies. In the garden, you will see a variety of beautiful butterflies and the living statue that slowly moves and extends her hands for a butterfly to land. Butterfly Palace is a wonderful place that provides educational and entertaining tropical experience for the whole family. As you walk around the garden of the Butterfly Palace, you will be entertained by colorful butterflies in an extraordinary environment. Inside the Butterfly Palace, there’s a pet shop that houses turtles, lizards, and chameleons where kids will be delighted to see the chameleon being fed with crickets by the shop’s attendant. 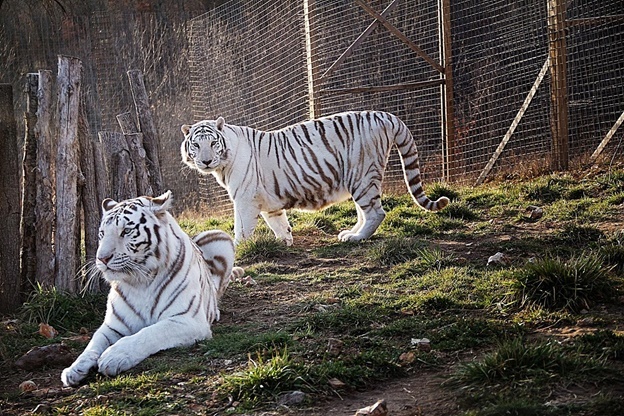 The National Tiger Sanctuary is also one of Branson attractions where you can see a variety of big cats. The sanctuary provides guided tours that last approximately one and a half hours. The tour is handicap accessible and allows visitors to use both cameras and video cameras. You will also find a gift shop inside the sanctuary where you can get the chance to buy things like food snacks and souvenirs. While you are inside the National Tiger Sanctuary, you can have the opportunity to get up close and personal with the animals where it is great to snap them for souvenir. Promised Land Zoo is another great Branson attraction where you can see many kinds of wild animals. The zoo offers a complete fun and great adventure for family with kids. Hundreds of animals inside the zoo have come from all over the world that represent 50 species. Kangaroos, antelope, deer, tropical birds, lemurs, large reptiles and many more. Rescued large reptiles and tropical birds can also be seen inside the zoo. When you drive through the property, you will be greeted by deer, emus, buffalo all looking for some food. As you drive along, you may have the tendency to stop for awhile and feed the animals as they come close. After seeing real animals, you might be interested to see imaginary monstrous animals in the Dinosaur Museum. As you enter the facility of the museum, you will feel like you have been transported back in time when you get up close at the long-toothed monsters. These wondrous creatures were the works of the best sculptors in the world who labored to bring these prehistoric creatures to life. So, if you want to spend a great time with lovely animals, visit some of Branson attractions that showcase many different kinds of wild animals.